The first half of the Division I match saw exceptional play by both teams. St. Mary’s struck first with a penalty conversion, but the Merlins rallied with converted tries at 17 and 21 minutes. St. Mary’s scored a try and conversion at 26 and 37 minutes, with an additional Glendale try and conversion in the 32nd minute. The Merlins led at the half, in front of St. Mary’s 21-17. Glendale’s Raptors Academy team traveled with the Merlins to compete against another St. Mary’s side. The California team dominated the first half of the match, scoring five tries, though unable to convert any. St. Mary’s led at the break 25-0. 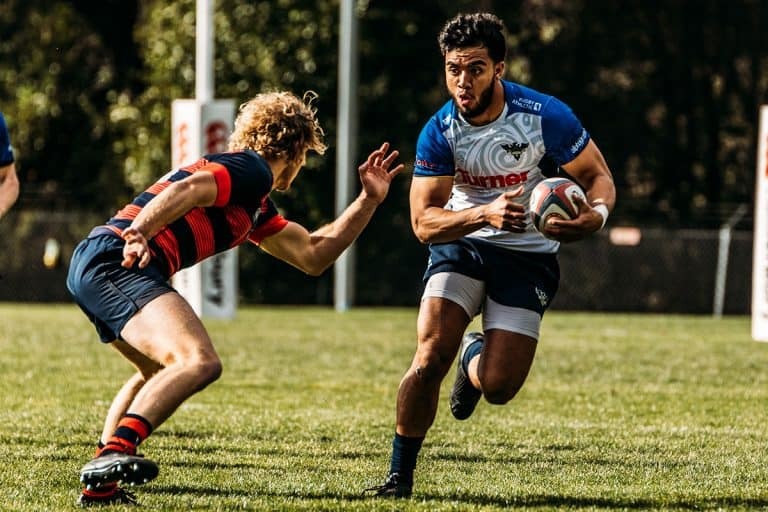 The Raptors Academy team was able to put points on the board in the second half, scoring two tries and converting one, but the St. Mary’s offense proved too formidable, scoring five more tries and converting all but one. The final score put the Moraga-based team ahead of Glendale 58-12. In spite of the losses, Glendale’s teams played hard rugby, and gained valuable experience through the non-league competition. Merlins Head Coach Luke Gross embraced the knowledge gained on Saturday: “We are grateful to Saint Mary’s for this high quality match. It really helped us grow as a team and we’ll take the lessons learned as we move forward into our next regular season league match.” The Raptors Academy named wing/full back Korbin Miller their player of the match. 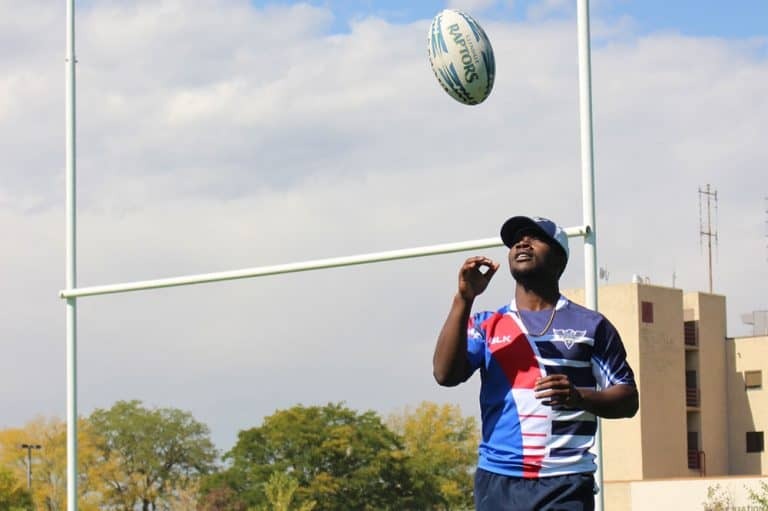 The Merlins D1 squad recognized the rugby acumen of Andrew “Shazza” Srokzynski, naming him their player of the match as he celebrated his 30th birthday on the pitch. The Merlins have a bye this weekend, their next Division I match the team’s first home game: March 10 at 1pm Mountain Time. The Merlins will face an undefeated Austin Blacks team on Infinity Park’s turf field. March 10 will be fan appreciation day at Infinity Park, with a free exhibition match between New Orleans Gold and Glendale’s professional Raptors squad in addition to the D1 action. The Raptors play at 3pm Mountain Time. The Raptors Academy team play their next match on March 17, taking on Colorado State University in Ft. Collins. Follow the Raptors Academy and Glendale Merlins on Facebook and Twitter for full-time scores on all games and additional information. All Merlins home games have free admission in 2018.